Contact us today for current promotions! 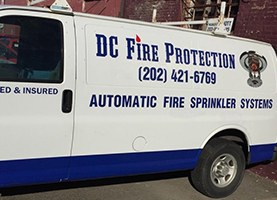 If you need fire sprinklers inspected, look no further than DC Fire Protection, LLC in Washington, DC. 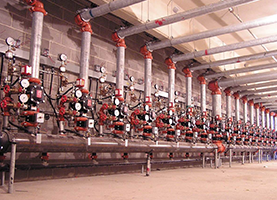 DC Fire Protection, LLC is the leader in fire sprinkler systems within the Washington, DC area. 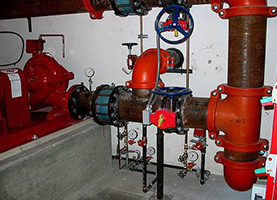 We offer installation, repairs, and inspection of fire sprinkler systems for commercial and residential use. Our technicians are certified and highly experienced with the various sprinkler systems. We are able to troubleshoot problems and complete repairs quickly on existing fire sprinkler systems. We will also install new systems efficiently, and our technicians will clean up any debris associated with the installation. You will not have to lift a finger during the installation and clean-up process. Your satisfaction is important to us and we will work hard to make certain that you are happy with our services. If you are not completely satisfied, we will make it right. We excel in professionalism and we will treat you and your space with respect. If a problem arises, we will keep you informed and fully explain the solution before proceeding. We offer a no-obligation consultation and will take the time to fully explain the options available for your space. We can walk you through the pros and cons of each fire sprinkler system that we work with so you are able to make an informed decision. We can come to your location or you can come to us. Either way, we will make sure that you understand all of your options. When you are searching for a new fire sprinkler system or a repair service, give us a call and set up an appointment. We will be honest in our assessment and guide you toward the right system for your space.